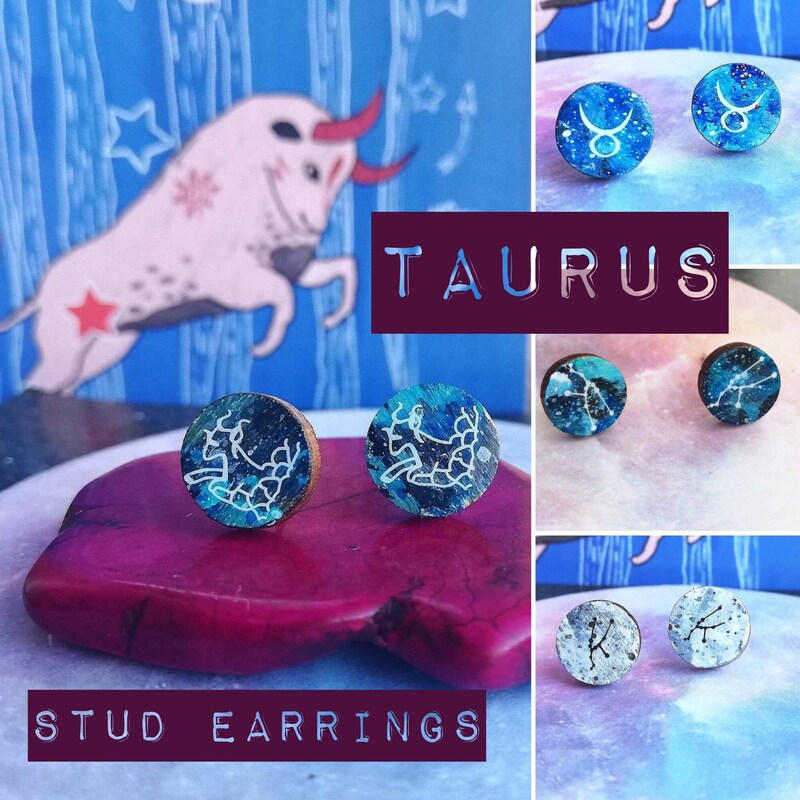 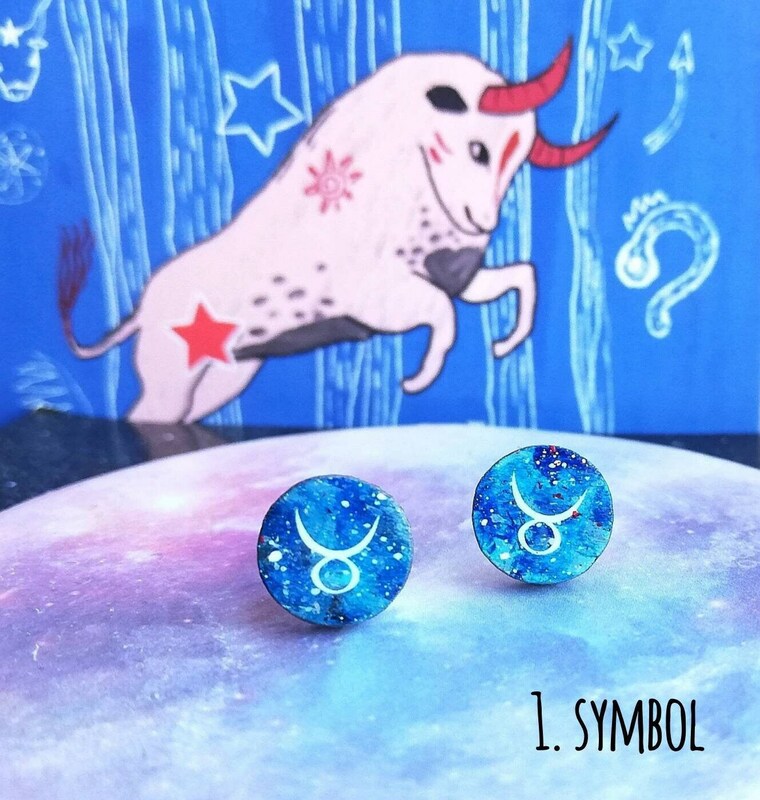 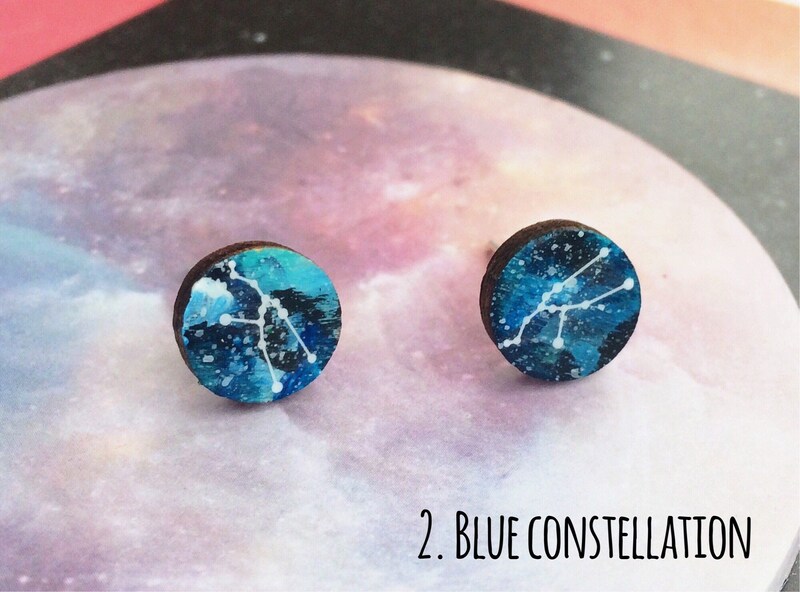 A choice of four pairs of hand painted stud earrings celebrating the astrological sign Taurus. 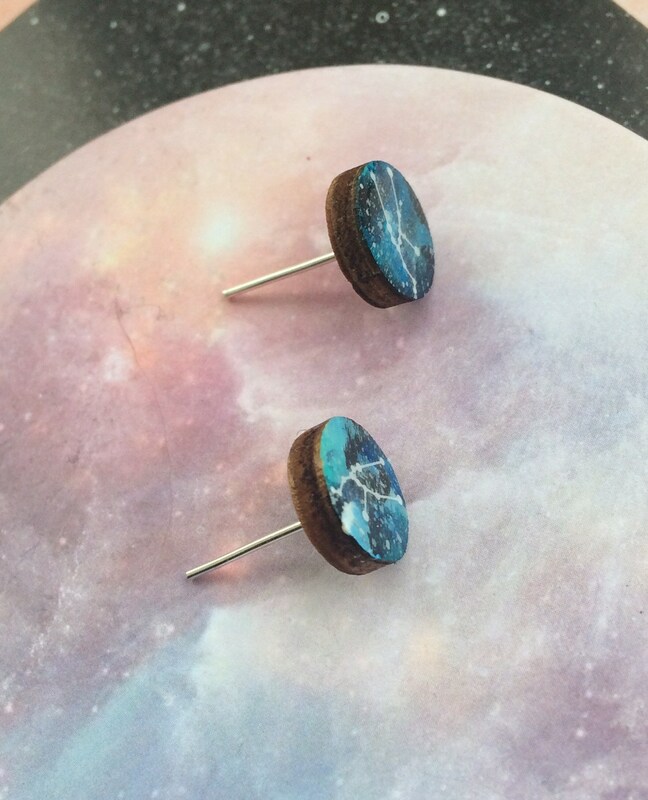 Each is painted on a wood disc 10mm big and affixed to silver plated stud earrings, which come with stopper. 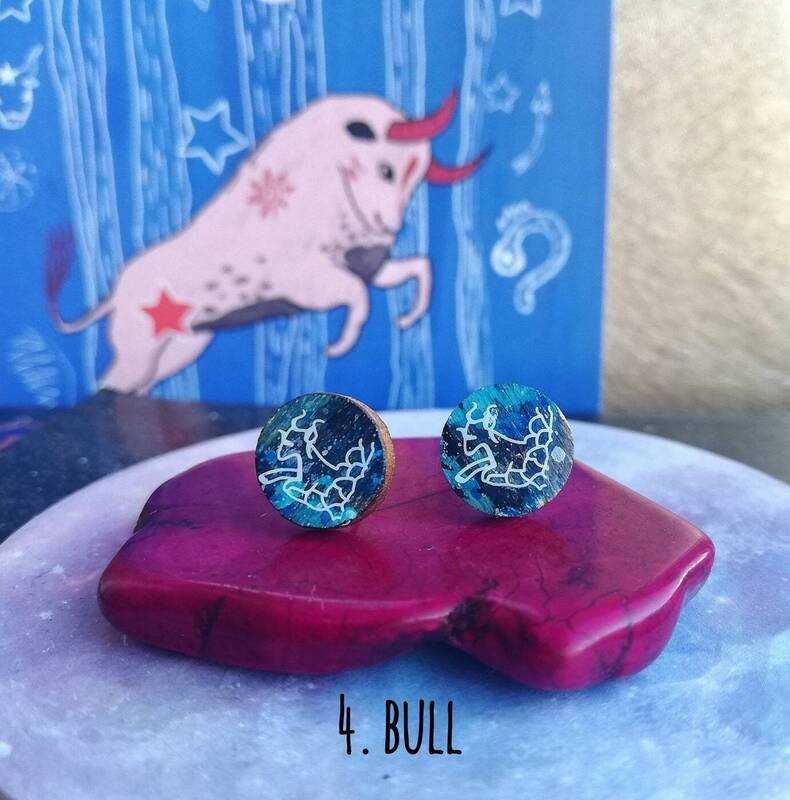 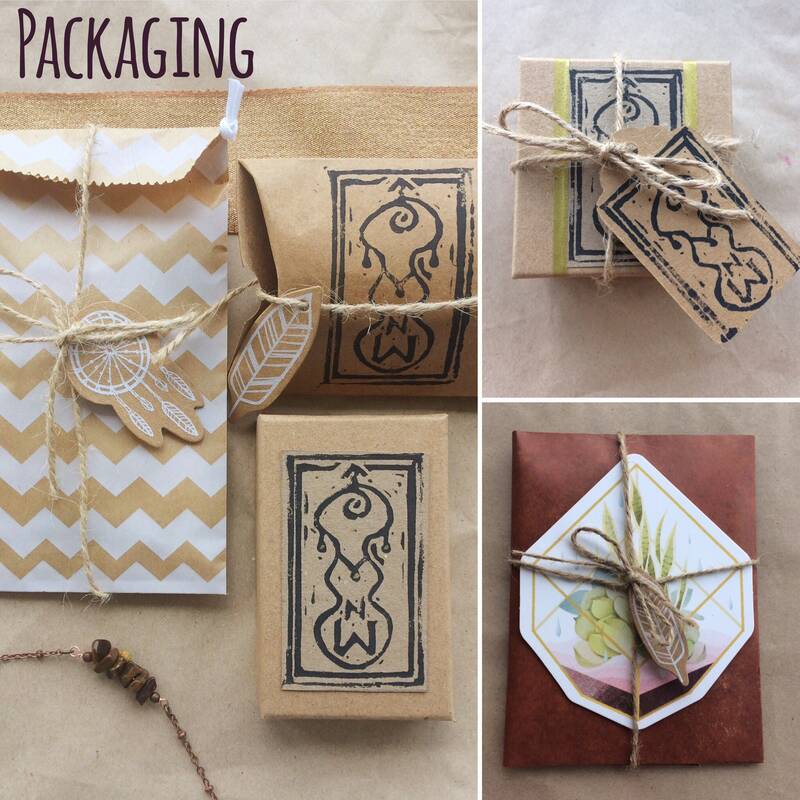 I paint each design myself, so they are all unique and therefore make a special gift (for yourself or another!) 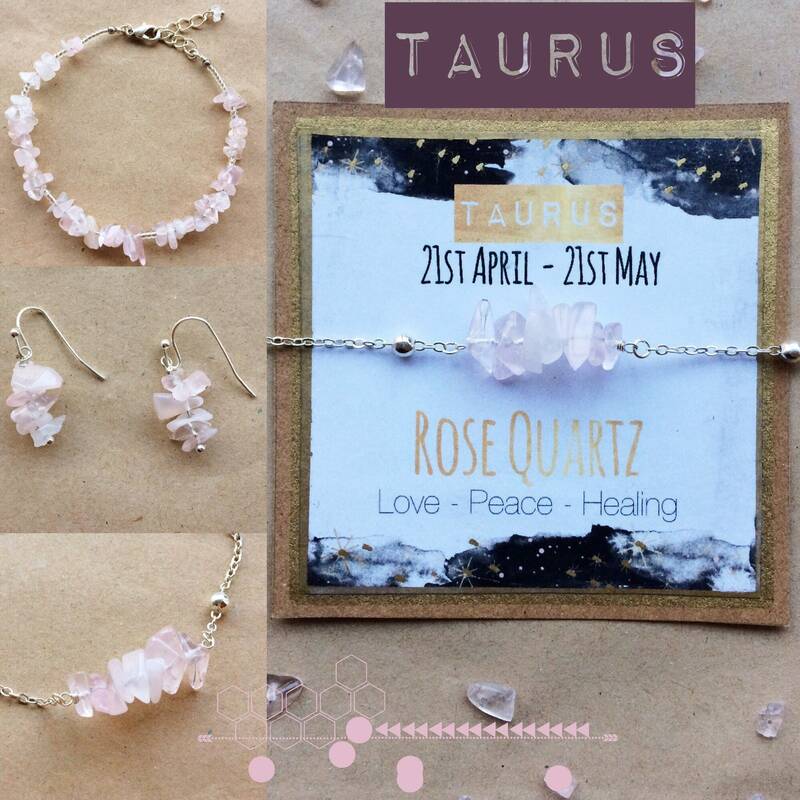 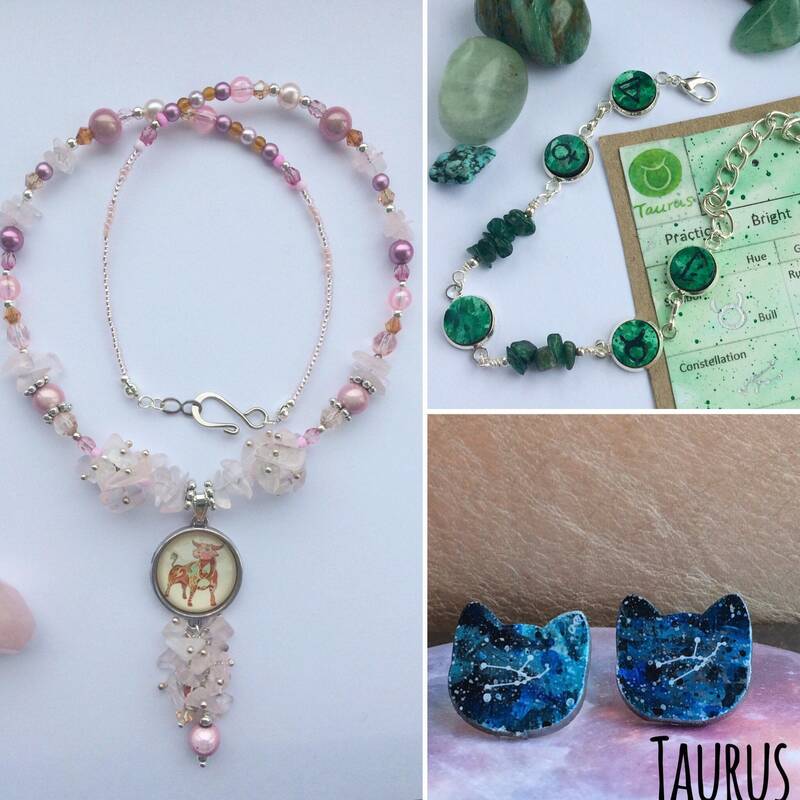 to celebrate a Taurus person and their birthday in particular (21 April - 21 May). 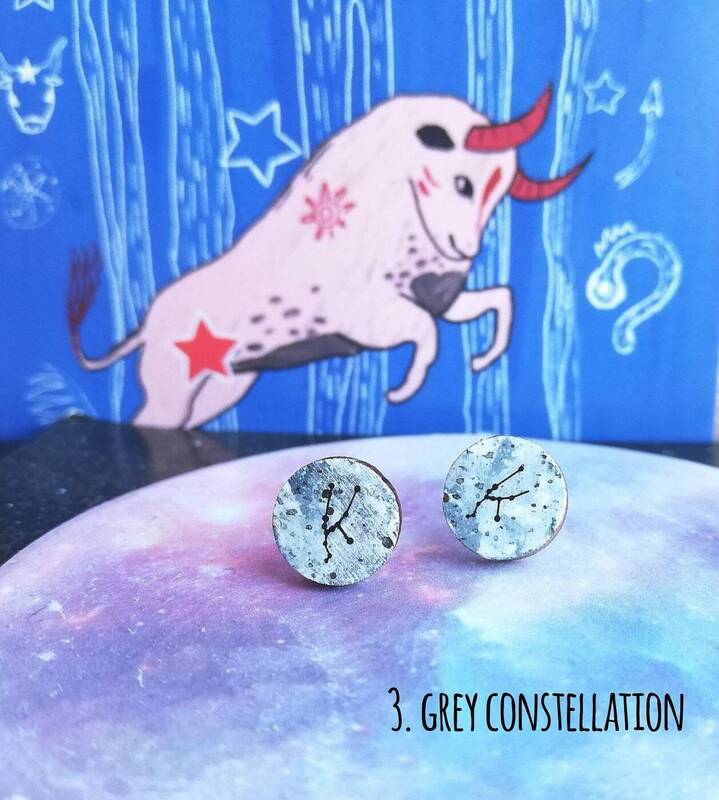 The wood is thrice varnished after painting for protection.